Our accredited continuing education and continuing medical education courses are trusted and relied on by hundreds of thousands of pharmacists, technicians, and prescribers every month. CE-in-the-Letter: Earn CE/CME just for reading the monthly evidence-based recommendations and taking the quiz. CME-As-You-Go: Prescribers earn Point of Care CME credits when using Prescriber’s Letter to answer clinical questions. 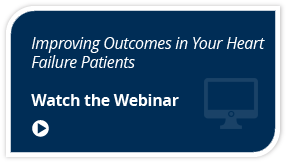 Multiple Live CE/CME webinars each month. Dozens of compliance training courses including HIPAA; Fraud, Waste, and Abuse; Methamphetamine Abuse; and more. 12 hours of regularly updated immunization courses to meet state pharmacist requirements. Hundreds of home study CE/CME courses. Sort by your requirements and take on-demand, at your convenience, at any time. 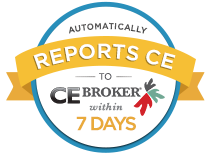 Electronic reporting of CPE credits via CPE Monitor or CE Broker. We also help pharmacists and technicians keep track of all the courses required for your state through our easy-to-use PL CE & Training Organizer and Up & Coming Developments. The Organizer is customized to track your CE/CME requirements and your progress toward fulfilling them. Up & Coming Developments keeps you up to date with new CE, licensing and practice requirements so that you are “in the know” about new laws, regulations and requirements that affect your license and practice. Subscribe today and enjoy the many benefits of our CE/CME offering. Pharmacist’s Letter/Therapeutic Research Center is accredited by the Accreditation Council for Pharmacy Education as a provider of continuing pharmacy education. Therapeutic Research Center/Prescriber's Letter is accredited by the American Association of Nurse Practitioners as an approved provider of nurse practitioner education. Provider number: 080517. Therapeutic Research Center is accredited by the Accreditation Council for Continuing Medical Education (ACCME) to provide continuing medical education for physicians.